It was hard to choose a top ten – there are so many great UKYA books that I would have loved to include – but here, in no particular order, are my favourites. Gangsters and criminals – and one girl caught in the middle – this is the sort of down to earth gritty crime that I love. A wonderful fantasy – a book that draws you in and doesn’t let you go. This is a really brilliant book, moving and profound. You’ll think about things differently after reading this! No list would be complete without including these. What more can I say. An all time favourite of mine – powerful fantasy with a wonderfully imagined world. Cleverly structured – moving between past and present- a past life that is being kept hidden. Gripping stuff! Dystopia at its best – thought provoking. A classic for its time. There is so much depth to these books – wonderful characters, fantastic settings and quite simply a brilliant story and concept. Sheer brilliance. This is a book that fully deserved all the accolades it has received. Kate Kelly is a marine scientist by day but by night she writes SF thrillers for kids. Her love of the sea inspires many of the themes in her writing. 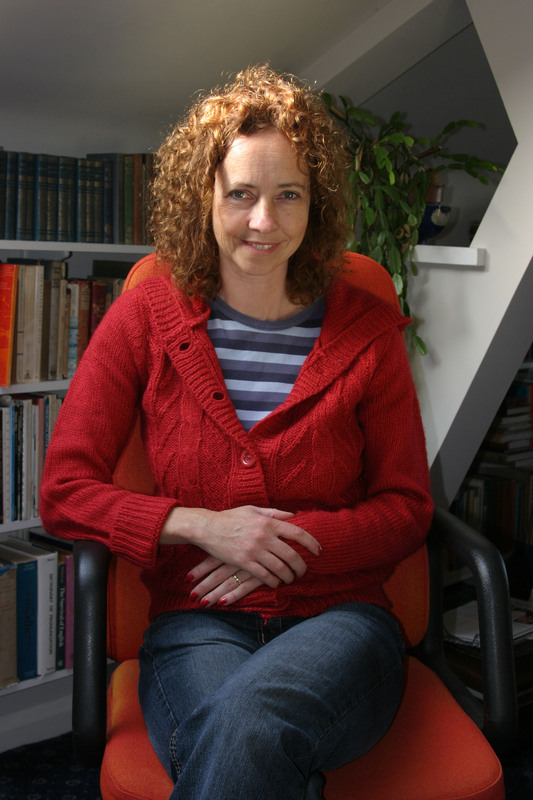 Kate’s debut novel Red Rock is published by Curious Fox in September 2013. Categories: Top Tens | Tags: Anne Cassidy, Colin Mulhern, Gillian Philip, JK Rowling, Kate Kelly, Malorie Blackman, Philip Pullman, Sophie McKenzie | Permalink. Amy May is the best at everything she does. But how do you know you’re really the best until you’re tested? Until you’re pushed to the limit? A botched kidnapping drags Amy and her best friend, Mia, into the depths of a criminal underworld, a world where the players think with bullets and blackmail. But the kidnappers are small-time: it’s when the big players come in that this really kicks off, and Amy’s friendship is put to the test as her friend Mia is used as leverage. 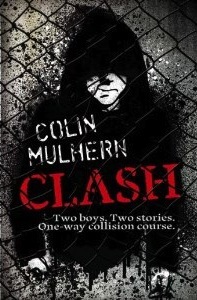 Categories: Crime, Thriller | Tags: Colin Mulhern | Permalink. When Keris asked me to pick my favourite UKYA books for 2012, I thought it would be a complete doddle…until I realised how many blooming excellent books I had read in this category. So I’ve written and rewritten my list, lost sleep over it, scribbled out names only to replace them five minutes later and finally I think I can name my top ten. In fact, I might even do a Ross Geller from Friends and laminate it, just so I can flash it around at author events. If you’re on my list, I can talk to you, right? Anyway my list is in no particular order but I do have one book shining like a star at the top of the list. My number one UKYA book of the year is Heart-Shaped Bruise by Tanya Byrne. Seriously I loved this book so much. Full of emotion that grated my feelings to the bone. Judging by the awards that this book has been nominated for I guess I ‘m not the only one feeling this way about this book. Now here is the rest of my list which is in no particular order. 15 Days Without A Head by Dave Cousins is an amazing gritty debut, which makes you laugh in some places and cry in others. What’s Up with Jody Barton? by Hayley Long should get an award for the biggest best kept secret ever. Half way through the book I was completely blown away. Saving Daisy by Phil Earle – another book to rip me to shreds. Phil writes from the heart and you can tell as you weep buckets, always desperate for a brighter outcome for his main characters. 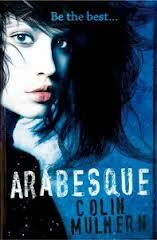 Arabesque by Colin Mulhern– If Martina Cole wrote YA then this would be the type of book she would write. Compelling and shocking at times to read but one hell of a thriller. 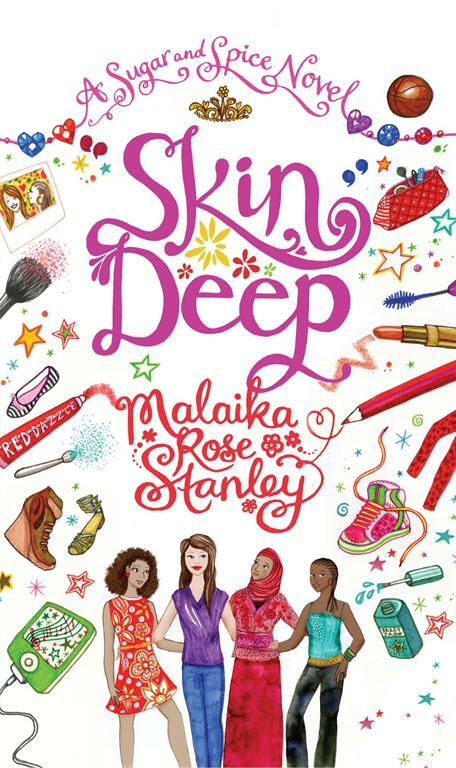 Skin Deep by Laura Jarrett – a beautiful love story where a young couple defy everyone that goes against their relationship. Just simply gorgeous. Unrest by Michelle Harrison – this lovely lady seems to be able to turn her hand to any subject matter. She has swiftly moved from fairies to ghosts and scared the beejeesus out of me in the process. FrostFire by Zoe Marriott – I just adore the way Zoe writes. Her imagination amazes me; her creative mind just wows me. Emma Hearts LA by Keris Stainton – I loved being swept away to California! Keris has a way of writing that makes me feel like I really am the main character. The Glimpse by Claire Merle – I had to check this one was valid because Clare no longer lives in the UK, but thank fully it does. Raise your glasses to a UK based dystopian novel. We can do it too my lovely American friends! I was just about to write three more that need to go on my list when I realised I’d run out of room on my laminated card. So I’m going to stick a bright pink post it note on the side mentioning that Hollow Pike by James Dawson, Torn by Cat Clarke and Night School by C.J Daugherty also rocked my socks off, but mean Keris Stainton told me I could only choose ten! * Harrumph! Categories: Books of the Year 2012 | Tags: Cat Clarke, CJ Daugherty, Claire Merle, Colin Mulhern, Dave Cousins, Hayley Long, James Dawson, Keris Stainton, Laura Jarratt, Michelle Harrison, Phil Earle, Tanya Byrne, Zoe Marriott | Permalink. Alex: school psycho and under-ground cage-fighting champion. Kyle: talented artist, smart school-boy and funny man. When Alex witnesses a brutal murder at the club he can’t go back to The Cage, but without fighting, he starts to lose control. He soon sets his sights on Kyle, a boy he thinks can help. But Kyle has his own problems and he’s convinced Alex is one of them. Boys can play dangerous games when they’re scared and this one will haunt everyone involved. What will it take for each boy to confront the truth? Categories: England, Sunderland, Thriller | Tags: Colin Mulhern | Permalink.